Christine is vice president and business banking relationship manager for Fifth Third Bank of Nashville with over 18 years of financial industry experience. She started her banking career in college working in bankcard collection. From there, she went into commercial real estate lending managing construction and permanent financing for income-producing properties. She gained more commercial banking experience in Las Vegas, NV working with several large casinos and C & I clients to meet their financing needs. 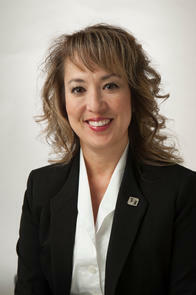 In Nashville, Christine has kept her focus in the business banking sector working directly with business owners. She enjoys collaborating and managing banking relationships of privately held companies with annual revenues between $2MM - $30MM. Her goal is to not only meet but exceed her clients’ business and personal goals. Christine earned a Bachelor of Science, Speech Communications from Portland State University. She is the mother of two amazing boys and the adopter of two rescue Belgian Malinois. She enjoys golf, running, swimming, and watching any and all of the sports her boys play. Christine is also active in her community serving as a board member of Williamson County CASA, member of the United Way Williamson County Allocations Committee, treasurer of Franklin High School Swim Team, volunteer for The Malinois Ranch Rescue, and past volunteer coordinator of The Taste of Williamson.